Let’s take a stand. Join the campaign here. To stop people in their tracks, make them pay attention and inspire much needed conversation and action around suicide, CALM partnered with the internationally renowned artist, Mark Jenkins, and his collaborator Sandra Fernandez, to create 84 individual sculptures. Friends and family members of the deceased helped in the creation process of the figures. Each one, a poignant reminder of a real life lost and a call to society to come together and ultimately take a stand against male suicide. Visit the sculptures on London’s Southbank Promenade from 26th March. 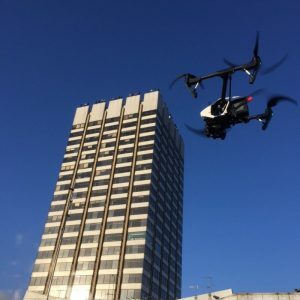 We carried out the drone filming for the launch of the campaign at ITV’s This Morning studio and South Bank buildings. We were blessed with a glorious sunny morning, shining a light on statues looking out over the capital in solidarity against suicide. To find out more about our drone filming services, click here.